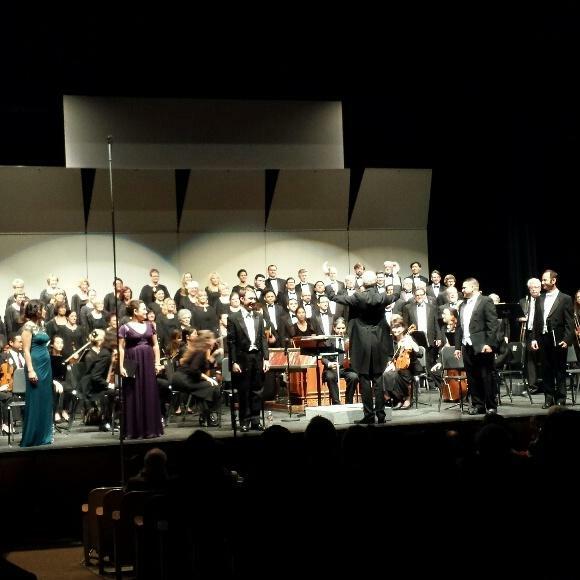 Two fine performing ensembles, the Long Beach Camerata Singers and Musica Angelica, teamed up the other day at Long Beach City College for a concert culminating the 41st annual Long Beach Bach Festival, and the results were impressive. It was double the pleasure. The Camerata have been around for a long time, and have reached new heights of excellence under artistic director Robert Istad. In the two Bach choral works, the early cantata “God is My King’ and the glorious Magnificat, the sound of the chorus was beautiful, the execution razor-sharp, and Istad’s musicality and sensitivity to Baroque style an unalloyed delight. Musica Angelica also is no stranger to Southern California audiences, and they have recently announced a move to Long Beach, which should thrill local music lovers. This is one of the nation’s, if not the world’s, premier historical performance ensembles, composed of virtuoso players steeped in authentic performance practice. I’ve heard them locally a couple of times, and been appropriately dazzled. 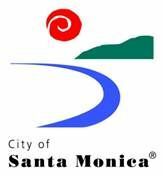 Their move to Long Beach, and their partnership with the Camerata, is good news indeed. The cantata BWV 71 is an odd little thing, composed early in Bach’s career for, of all things, the election of a town council. There is some wonderful music, and the piece is undeniably festive, but the use of instruments, textual imagery and overall structure are just plain weird. The ending is especially awkward, and it took awhile for the large audience to realize the thing was over. Musica Angelica, the Camerata, and soloists Kellee King, Nicholas Preston, Aram Barsamian and William Sauerland all acquitted themselves well. Musica Angelica came to the fore in the Orchestral Suite No. 3, one of Bach’s most familiar instrumental works. Istad, normally strictly a choral guy, conducted with stylish authority, and the nuanced approach of the historic instruments brought the music to life. The dry acoustic of the Long Beach City College auditorium did the players no favors, and there was some imprecision due to the players not being able to hear each other, but this was an excellent, revelatory performance nonetheless. The Magnificat was amazing, thanks in great part to the instrumental work. Somehow the Baroque flutes, oboes and trumpets, and even the softer string sound, made this transcendent masterpiece even more immediately moving than we are used to hearing it. Played on Baroque flutes, the “Esurientes” is cute as a bug’s ear, and the oboes in the “Suscepit Israel” trio broke the heart. The solos were all played with virtuoso elan, and the total ensemble produced its share of thrills and chills. Which is not to minimize the exemplary choral work, or the fine vocal soloists. King’s “Quia respexit” was clear as a bell, Preston’s “Deposuit” fiery, and Barsamian’s “Quia fecit” sonorous. Chelsea Lyons’s “Et exsultavit” showcased her lovely mezzo. 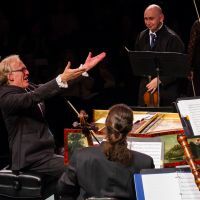 It’s just that, by featuring Musica Angelica instead of a pick-up band, the overall music-making at this performance was raised to a new, higher and most satisfying level. Like they say in “Casablanca,” this could be the beginning of a beautiful friendship.